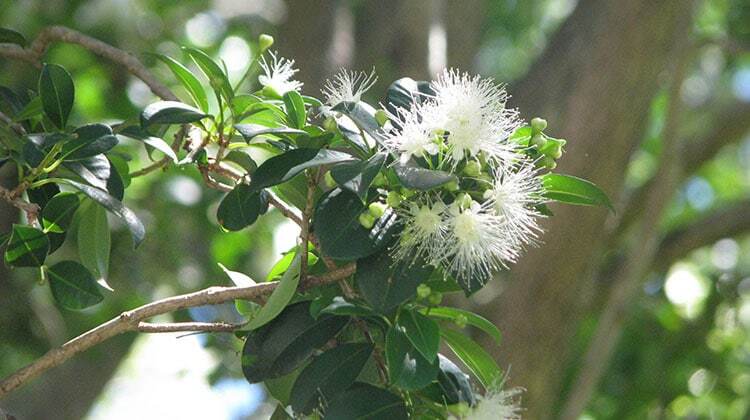 A very popular and native Australian tree, this wonderful (usually) tree is grown in lots of ways. It has been bred into many cultivars suitable for many uses in the garden. Lillypilly can have a lot of names and has been misnamed many times because of the range of cultivars it comes in. 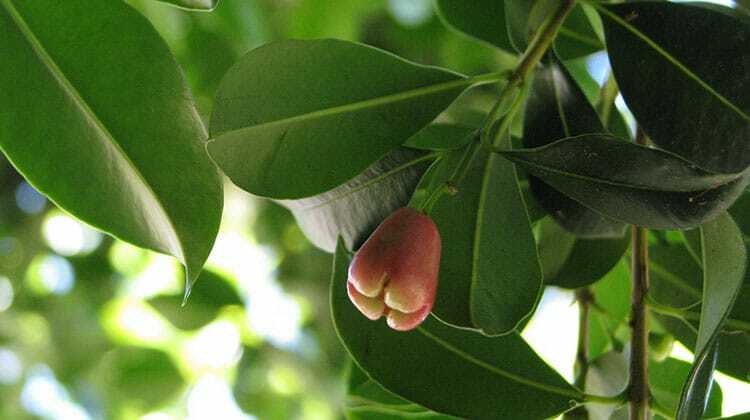 Names like Brush Cherry, Scrub Cherry, creek satinash, watergum, and creek lilly-pilly are all names that this tree has had. Shorter and more compact cultivars of lillypilly are more popular than larger ones, as they can be grown in pots and easily controlled. Larger cultivars and the wild cultivars of lillypilly have been known to have destructive and aggressive root systems so some caution is required when locating a suitable place for their cultivation. Usually, cultivars have a pleasant upright and dense growth form that take happily to pruning and shearing. In the wild, individual specimens can reach 35 metres in height. They are dense and upright and columnar when young and grow openly as they age. Usually planted in the landscape as close growing hedges, here they take on any form of topiary that’s wished of them. In cultivation, trunks are usually unseen as the bush itself reaches to the ground as a hedge. But, the tree itself can have a trunk of up to 60 cm in diameter. The flowers of the lillypilly are white and fluffy and form in clusters. They are very attractive to pollinators and have a nice smell. The leaves are dark green and evergreen. In many cultivars new growth leaves are brightly colored in red and purple or yellow and chartreuse. The fruit of the lillypilly is very attractive to people and is enjoyed fresh, but is usually cooked and eaten in jams and jellies. Each fruit is long lasting and bright red or pink when ripe. Lillypilly is normally propagated by seed in the wild, but cultivars are all propagated asexually by taking cuttings. This is the best way to ensure that the phenotypes (the look and form) of specific lillypilly plants are perfectly copied into offspring baby plants. This little tree makes a great hedge and can be treated as such, as it takes to pruning and shearing and shaping happily- and this is the normal use of it in the home landscape. Give lillypilly full sun, adequate moisture and regular feedings of all-purpose food and it’ll stay healthy for many years. In some cultivars and the wild types, the roots are aggressive in their search for water. Underground, any leaky pipe of puddling water against a foundation will attract a root and roots aren’t shy about taking what they think is theirs, sometimes creating damage. There are cultivars with tame root systems, so purchasing these nicer cultivars is a good idea if you plan to use lillypilly near foundations or landscaping. Given lots of space, the wild type of lillypilly with its very delicious fruit make it an excellent homestead tree for an edible landscape. 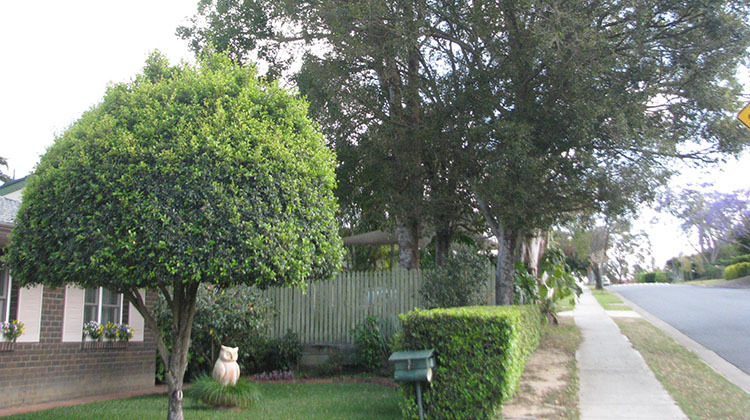 If you are located in Brisbane and need help with Lillypilly pruning or root control, please contact us for a free assessment. Hi David, I would be interested in knowing more about how the Lillipilly can be planted. I have one in my backyard and it drops fruit, which seems to self germinate quite easily. I have not kept track of how long it takes for it to sprout and then develop further. I work with children in primary school, and at the moment doing an assignment re life cycle, including plants. It would be a good project to use the Lillipilly, if it grows fast enough, so that the children can notice the difference. What a great article – lots of helpful information there. I have recently purchased 5 acmena smithii minor lilly pilly’s to plant along my back border. My Neighbour’s garden is below the height of my garden by about 2 metres and I believe that there is a sewage pipe along the back wall, below where I intend on growing my hedge. Do you think there will be issues with the root system getting into the sewage pipe? If so, do you think I could get a 3+m high hedge if I create a raised bed for the lilly pillys? Do you have any ideas what dimensions that bed would need to be to get that height of plant? Hi Duncan. You can easily get a 3m high hedge even from ground level since A. smithii minor grows to 5m. 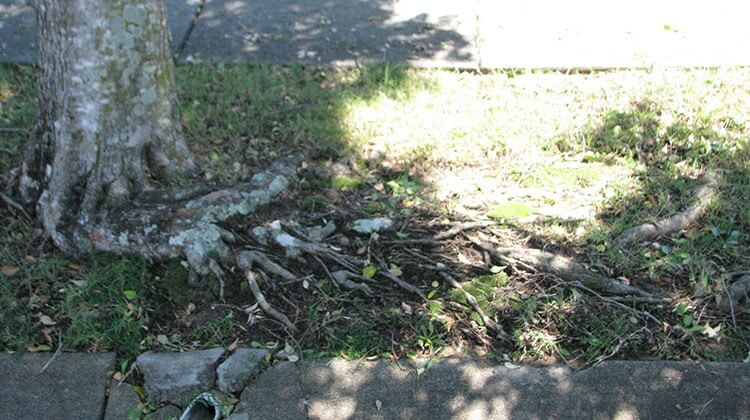 I can’t guarantee your trees won’t find your pipes, though most problems from small trees are caused by pipes cracking first then being clogged with roots. If you had wild Lillypillies from North Queensland it would be a different story. The original species could break concrete. These cultivars are much tamer. I like eating lillypilly fruits straight off the tree, but never thought to make jam from it.